Meeting & assistance on Gya airport & transfer to hotel in Bodhgaya. Bodhgaya is the place of the Buddha's Enlightenment and spiritual home of Buddhists. It attracts many believers from all over the world. Bodhgaya situated near the river Niranjana, is one of the holiest Buddhist pilgrimage centers and in the second place of the four holy sites in Buddhism. Afternoon sightseeing tour of Bodhgaya visiting Maha bodhi Temple - The temple, named after the Buddha, is a sacred place for the Buddhists in Bodh Gaya, Maha - bodhi tree - The tree is considered holy since Lord Buddha attained enlightenment under it. 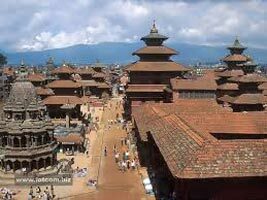 Also visit monasteries of different countries and Archaeological Museum. Morning proceed to Kushinagar (256 kms and 07/8 hrs drive) en-route visiting Vaishali - place where Buddha announced the approaching of his Mahaparinirvana. After visit continue drive to Kushinagar (place where Lord Buddha had left the world behind him after offering an invaluable contribution to humanity, the great religion known as Buddhism). On arrival Kushinagar, transfer to hotel. Afternoon visit Mahaparinirvana Temple (where Buddha took his last breathe) and Rambhar Stupa (cremation site of Lord Buddha). Overnight stay at Kushinagar hotel. Morning drive to Lumbini - the birth place of Lord Buddha (180 kms and 05 hrs drive). On arrival, transfer to hotel. . Afternoon visit the birth place of Buddha - Mayadevi Temple. This place is a blessed one for its serenity and the natural beauty, purely coinciding to the perception of a place where the legend was born. Overnight stay at Lumbini hotel. Morning leave for Shravasti (225 kms and 5.30 hrs drive) en-route visiting Kapilavastu - the childhood home of Gautam Buddha. 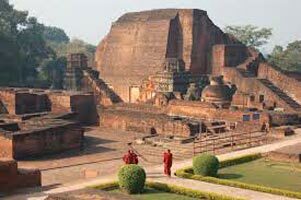 After that proceed to Shravasti where the Buddha preached most of his sermons. Here he is said to have performed many miracles, and levitated. During the monsoon, he used to stay at the Jetavana monastery on the outskirts of this town. Visit Sahet Mahet and Angulimal caves. Morning proceed to Varanasi (300 kms / 08 hrs drive)- one of the oldest living cities of the world. Which bears testimony to its great past where Lord Buddha delivered his first sermon to his disciples, expounding the principles of Buddhism. The remains date back to as far as the3rd-Century BC when Emperor Ashoka founded various institutions, stupas, monasteries and pillar Edicts. Visit the art collection at the Archaeological Museum. The main attraction is the superb Capital from Ashokan Pillr - the Ashokan symbol of four back-to-back Lions which has been adopted as the state symbol Independent India. Also visit the Maha bodhi' Buddha temple and walk around the Deer Park. 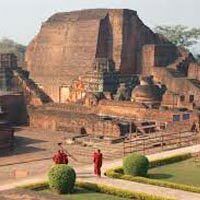 Later see the Monastery ruins area, Dhameka Stupa. Post visit drive continue to Varanasi. Early morning boat cruise on river Ganges The western banks of Ganges has a string of Ghats - the chain of stone steps, all built with pavilions, palaces and terraces, most of which are mainly used as Dharamsala where the pilgrims stay during their visit to the holy city. At dawn, the Ghats are abuzz with activity of the devotees performing their ablutions in the river or offering prayers to the rising sun and performing other religious rituals. A boat ride along the Ghats gives you vantage views of this activity. The sunrise on the Ganges is a soul-lifting experience. Later In time departure transfer to the airport to connect flight for onwards destination. (No accommodation envisaged in Delhi on this day).